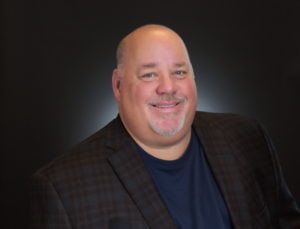 LAS VEGAS, March 27, 2019 /PRNewswire/ — Jon C. Wolfe, Founder and CEO of House Advantage, LLC, a loyalty marketing technologies company and eTouchMenu™, a leader in digital menu and payment solutions, has been accepted into Forbes Technology Council. The invitation-only community consists of world-class CIOs, CTOs, and technology executives. Wolfe was vetted and selected by a review committee based on the depth and diversity of his experience. Criteria for acceptance include a track record of successfully impacting business growth metrics, as well as personal and professional achievements. As an accepted member of the Council, Wolfe has access to a variety of exclusive opportunities designed to help him reach peak professional influence. He will connect and collaborate with other respected local leaders in a private forum. Wolfe will also be invited to work with a professional editorial team to share his expert insights in original business articles on Forbes.com, and to contribute to published Q&A panels alongside other experts. Finally, Wolfe will benefit from exclusive access to vetted business service partners, membership-branded marketing collateral, and the high-touch support of the Forbes Councils member concierge team. ABOUT FORBES COUNCILS: Forbes Councils is a collective of invitation-only communities created in partnership with Forbes and the expert community builders who founded Young Entrepreneur Council (YEC). In Forbes Councils, exceptional business owners and leaders come together with the people and resources that can help them thrive. ABOUT HOUSE ADVANTAGE, LLC: House Advantage loyalty marketing technologies, reinforced by strategic expertise and deep industry experience, empower the world’s most successful entertainment brands to seamlessly integrate powerful new marketing strategies and tools. Brands using House Advantage, increase customer engagement, generate vital business intelligence, and boost per-customer share-of-wallet with seamless integration and total support for their existing systems. House Advantage is headquartered in Las Vegas, NV, with offices in Macau and Memphis, TN. For more information about House Advantage, please visit www.houseadv.com.